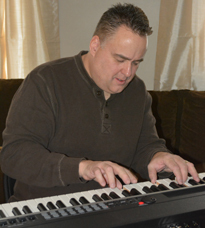 Rich has been playing the piano for 44 years since first starting lessons at age 5. His first public performances at age 12 occurred during several seventh grade concerts featuring his solo piano renditions of Scott Joplin's Maple Leaf Rag and Gershwin Preludes, music he credits with establishing his early fascination with Jazz. Continuing his formal classical piano training with Peter Loro from the New Haven Symphony he formed a good musical foundation to build on. After playing in several bands throughout high school he enlisted in the Army and became a paratrooper stationed at Fort Bragg, North Carolina where he played weekends with many different bands around the post and throughout the region gaining valuable musical experiences in small jazz and R&B groups with other soldiers from around the country, furthering his interest in jazz and beginning to develop as both a jazz musician and composer. Rich returned home to the New Haven area and started to perform locally with several jazz groups and musicians, that include local award winning jazz singer Faye Green (as one of her funky all-stars), Sonor drums endorsee Dean Kosh, John Rispoli, Atlantic jazz guitarist Rohn Lawrence, and Tappan Zee recording artist Marion Meadows along with opening up for National Acts such as Tower of Power and Average White Band. He played the annual Marion Meadows Christmas show at Toads Place as leader of his own original jazz/fusion group "Azure". Rich was also called to play keyboards for several dates with Ringling Brothers Barnum and Bailey Circus. 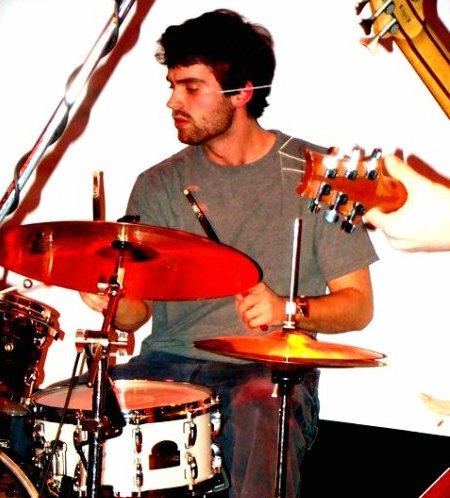 Rob began playing drums at an early age. He started taking lessons and studying drum set as a child and has been enjoying rhythm ever since. His musical interest began with classic rock and punk. Throughout high school he played music with friends in these styles and took private lessons. During college he furthered his studies, taking lessons and playing in various ensembles. These ensemble experiences lead to a strong interest in jazz. During and after college he played and toured with several bands including Mother Mcrees and more recently Dirty Paris. Rob also studies and performs on tabla, which has become instrumental in his growth as a percussionist. Rob now teaches drumming in the capital region and enjoys continuing to grow as a musician, playing with EVO-JAM. Mike was born about an hour south of Albany and lived there until age twenty except for a year in Maryland. He moved to the Research Triangle area in North Carolina to pursue educational and employment opportunities. In June 2004, he moved back home to upstate New York in the Troy/Albany area. He started playing guitar and bass in 7th grade and has played several genres of music over the years in various solo and group projects, playing with a passion and enthusiasm for music that continues to this day. Mike has always been a multi-genre player and is never content for long when playing in projects where a single musical type dominates. 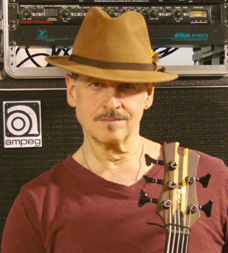 He switches between styles as freely as he switches between fretted, fretless, and electric upright basses, which is usually every other song or so. Jazz is his preferred medium as it naturally pulls from so many different sources and styles. He also likes being a bit out of his comfort zone performing totally unrehearsed impromptu live jams, which he gets to do a lot of with EVO-JAM. Mike is best known locally from the Pop/Rock/Eclectic band Studmonkey while it was active and playing regularly at several venues along with private and public events in the Capital Area. But, regardless of what kind of music it is, it still all comes down to the groove. Lay down a good groove, and people start moving with the music. To Mike, that's what it's all about. Interested in having EVO-JAM play at your venue or special event?